The story behind this release is this. Today is Friday 8 May – Monday 4 May was Bank Holiday Monday and Andy Price, who put out the first ever FFP-R release, is bored. So he writes and records an entire album (using a few unrecorded Dig for Fire tracks he’s working on). On Wednesday 6 May he sends it to me, I listen to it on Thursday 7 May, and then deliver it to you today, Friday 8 May. By his own admission, it’s hit and miss, but the joy of FFP-R is that it is raw and ready. Some tracks written this week – including the fantastic title track – rate amongst the best songs Andy has ever written, without this release, it’d take you another few months at least before you heard it – if ever. It takes on all the anti-folk values, love, loss, food prep, and runs with them. It’s a remarkable release, and we’re continuing to argue over which tracks we think are hit, and which ones are miss! This acoustic live set, recorded at Bearded Magazine’s show at the luscious Cafe Oto in North London’s growing creative hub of Dalston, covered tracks new and old from the band’s back catalogue, tracks from the AFB Band, his project with Sarah Hall – who accompanies him here – as well as covers by Ace of Base and Ratface. 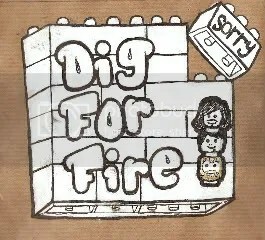 Debut LP from Andy’s punk rock outfit Dig for Fire, a fabulously ramshakle DIY recording, Sorry was recorded and produced in his bedroom. Limited edition of 200. All money goes directly to the band, not to Fleeing from Pigeons. Second LP from the obtuse DIY punk rock outfit. 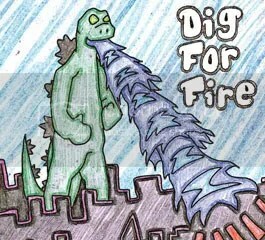 Recorded and released just six months after their debut, Dig for Fire’s second record merges both bedroom and studio recording, and heralds a move towards solid songwriting. Limited edition of 200. All money goes directly to the band, not to Fleeing from Pigeons. Andy Price is better known as part of Bristol punk rock three-piece Dig for Fire. This acoustic live set, recorded at Bearded Magazine’s show at the luscious Cafe Oto in North London’s growing creative hub of Dalston, covered tracks new and old from the band’s back catalogue, tracks from the AFB Band, his project with Sarah Hall – who accompanies him here – as well as covers by Ace of Base and Ratface. For other formats, please donate and specify required format. If you wish to support Andy Price, please think about donating directly to him.